I can’t believe another month has flown by! I can’t believe it’s April already. I am pleased to announce that we were slightly under our $200 budget this month. 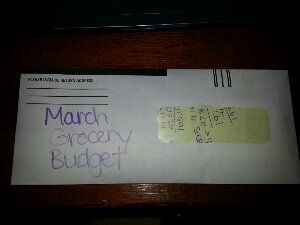 Remember- This budget is for two adults and yes we do eat three meals a day at home. We only ate out 3 times the entire month. I mention that not because we include what we spent eating out in the grocery budget but to show that we really do eat almost all of our meals at home. This also includes all household items such as toilet paper, soap, toothpaste, etc.